Where to find Gloucester hotels near an airport? 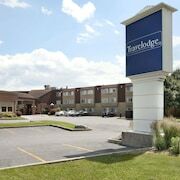 How can I find hotels in different Gloucester neighborhoods? Where can I find hotels in Gloucester that are near tourist attractions? Gloucester can be found 14 kilometres (8 miles) to the east of the heart of the national capital of Canada, Ottawa. Two of Ottawa's premier attractions are the Parliament Hill and National Gallery of Canada. The Rideau Canal should not be overlooked either. 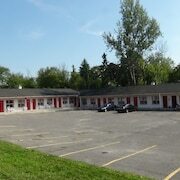 The Value Inn Ottawa is one of Gloucester's more economical hotels. 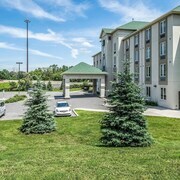 If there is no available Gloucester accommodation, you should check out the hotels in Vanier, a neighborhood that's located 10 kilometres (6 miles) west of central Gloucester. Another option is to find a hotel in Old Ottawa East, which is another nearby Ottawa neighborhood. 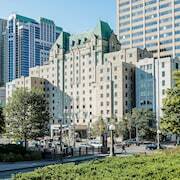 Visit the Ottawa vacation travel guide and the Ottawa hotels page to find out more about your trip to Ottawa. What are the most popular Gloucester hotels? 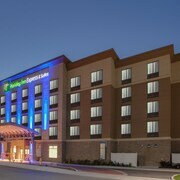 Are there hotels in other cities near Gloucester? 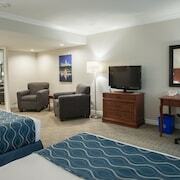 What other types of accommodations are available in Gloucester? Explore Gloucester with Expedia.ca’s Travel Guides to find the best flights, cars, holiday packages and more!